Bookmate is a book subscription service that gives you access to thousands of books for one low price. Up until very recently, I spent way too much money on books. (My mom says that you can’t spend too much money on books, but she has a local library to go to, so…) I read constantly, and I was easily dropping a couple of hundred bucks per month on thrillers, novels, and other masterpieces of the written word to keep me amused – I live my life in foreign countries, hence, no local library for me! Other book lovers out there know the pain of dropping so much money on books, but I’ve got something that can ease that pain. This is a great one, especially for those of you who were bummed when Oyster closed down earlier this year. It’s a startup called Bookmate that gives readers access to half a million books for only $8.99 per month. (Which is less than the cost of most e-books on Amazon.) They even have books in 12 languages from 600 publishers, so you can pretty much guarantee they’ll have something you like in their library. Best of all, Bookmate books are available on all of your devices — Mac or PC, Android or iPhone — and they sync so that you never lose your place, even if you’re switching from phone to tablet, for example. They also offer recommendations from their editors, a “Friends” feed so you can see what your friends are currently reading, and the ability to browse other people’s virtual bookshelves in order to discover new books outside of your social circle. 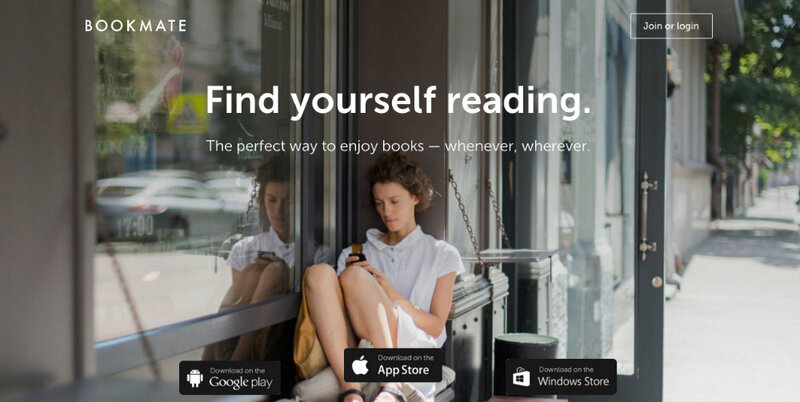 It’s basically a book lover’s (especially a book lover without a local library) dream app. Stop spending hundreds of $$ every month on books and get reading on all of your devices, with @Bookmate.